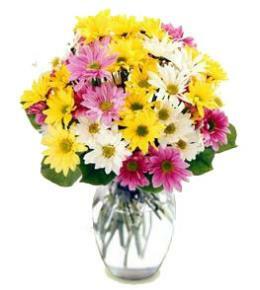 Great gift to carry any message. 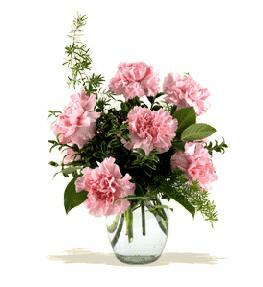 Choose when recipient has a vase of their own. the labour to make is usually less. 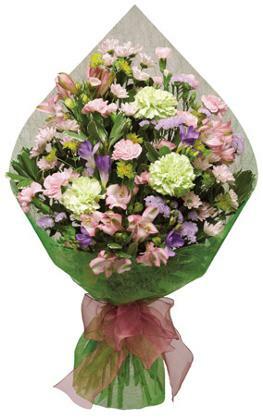 Suggest a large full size card for your message. . Cut Bouquets Mothers Day - Traditional Cut Bouquet Gift Wrapped. 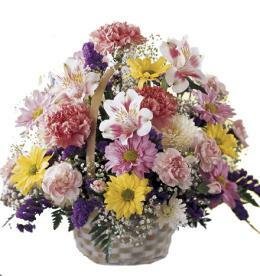 Florist Notes: This bouquet features softly colored carnations and freesia, hand-tied and wrapped for a sweet presentation. 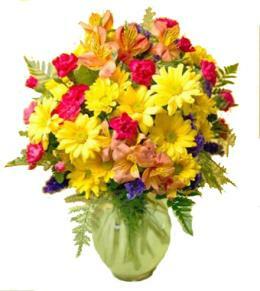 Freesia will not always be available.....a suitable substitute will be chosen. 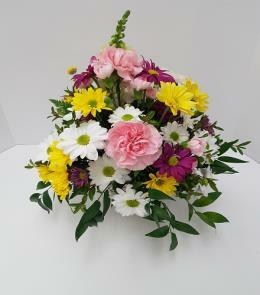 Arrangement Details: Flowers can be varied to suit any budget. 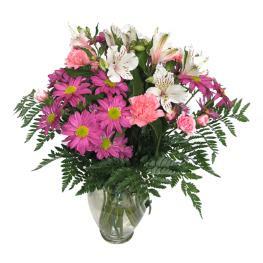 Choose an add on vase below, and the florist will arrange the flowers properly in a glass vase. Add on a stuffed animal, a box of chocolates and or some themed helium balloons.